Who loves baseball? I do... major league,little league and watching t-ball for the little ones is a hoot. 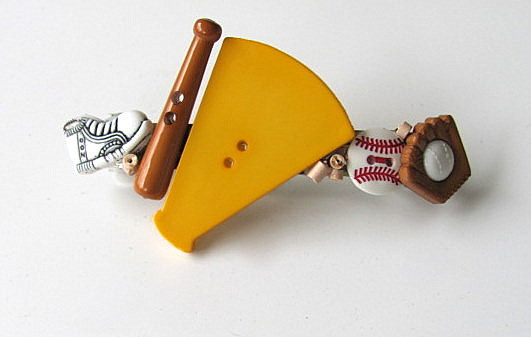 So I decided to make a baseball/softball barrette. 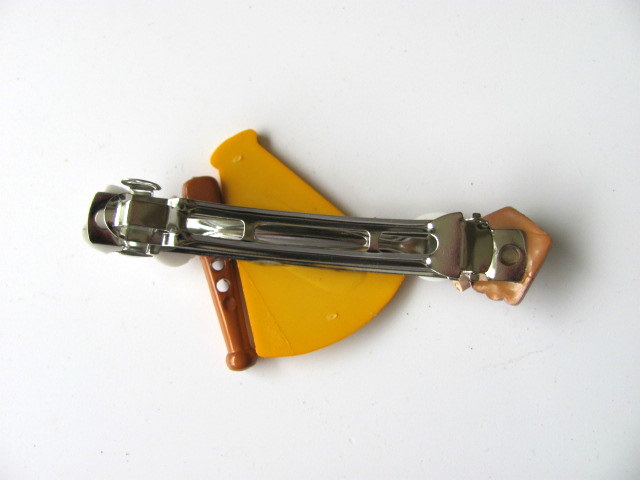 The 3" snap closure barrette is anchored in the center with a bight orange-yellow megaphone. 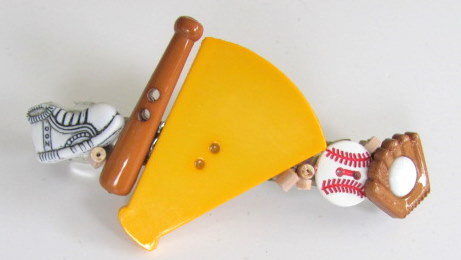 On the sides are cleats, a baseball, a bat and a mitt-all buttons! Great to wear if you're a spectator or a player! 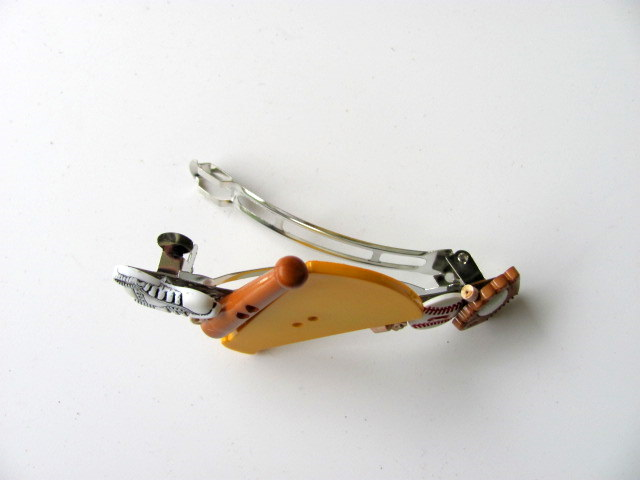 And honestly, we're off to a game in a little while!